Dr. Winkelmann of Wake Forest Dental Arts has been providing dental implants for Franklin and Wake County since 2010. Dental implants are a conservative procedure that provides a strong, stable, and attractive replacement for missing natural teeth. • Stability - Implants offer the reliability and comfort of a stable bite. Chewing, smiling and talking need not cause anxiety because there is no slipping of dentures or suffering from pain induced by ill-fitting dentures. • Self-Confidence – Missing teeth or slipping dentures can cause you to refrain from smiling. The end result of your dental implant procedure is natural looking and attractive teeth. That’s a reason to smile again. • Jaw and Bone Health – Missing teeth don’t just diminish your bite and smile. Empty spaces where your teeth should be can cause bone deterioration, shifting of other teeth, gaps forming or widening, and degeneration of jaw structure. Implant-supported dentures are simply dentures secured by two to four dental implants per arch. For full arch implant restoration, implant-supported dentures are faster and more cost-effective than a whole row of single tooth replacements. At our Wake Forest dental practice, we always hear our patients tell us how happy they are with this procedure after dealing with traditional dentures and the problems that come with them. Patients who choose implant-supported dentures can usually eat the same foods they did before losing their teeth. Dental implants obtain their strength from a small titanium fixture that acts as the root of the tooth. It is placed in the jaw and, once enough bone grows around the fixture to secure it, an abutment is attached. The abutment is the part that your restoration (crown) will be secured to. Finally, an impression is made so that the crown(s) can be custom fitted. The color will be chosen to match the rest of your teeth or you and Dr. Winkelmann can choose a preferred shade in the case of full arch restoration with several implants. 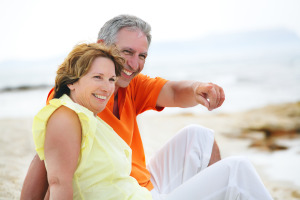 Why Choose Wake Forest Dental Arts for Dental Implants? Our Wake Forest dentist has extensive experience placing implants and believes they are the best option for missing teeth. They look and feel natural, are biocompatible, long-lasting, and extremely reliable. Contact us at Wake Forest Dental Arts for more information - We are happy to review the possibilities with you. Schedule a consultation today!